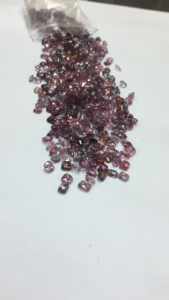 Although called “Fancy”, the Wholesale Spinel we provide is colored in several colors like Wholesale Pink Spinel, Wholesale Blue Spinel, Wholesale Purple Spinel and Wholesale Multi Spinel which is a nice mix of colors. Here’s a nice assortment of some of the Wholesale Spinel colors, cuts and shapes that we do. What is the Origin of our Wholesale Spinel Gems? 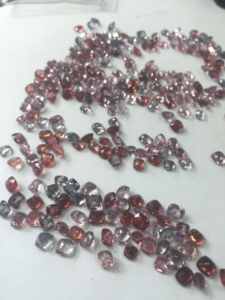 You can get Spinels from Vietnam, Spinels from Burma, Spinels from Sri Lanka, Spinels from Afghanistan and Spinels from Africa and we source our Wholesale Spinels from only ethical sources as all of our precious and semi-precious gemstones are. What is Spinel made of? Spinels are created in nature and generally occur as small octahedron shaped crystals that are often twisted together. Spinel is also common in aggregates and rounded grains and is composed of magnesium aluminium oxide, transparent to opaque and sometimes fluorescent. Why are our Wholesale Spinel Gems so Popular? Perhaps due to it’s being dubbed the “great imposter” and then The Mahenge Spinel came along. Spinel occurs in many colors as stated like pink, black, blue, brown, colorless, orange, violet and red crystals. Red Spinel is comparable in color to Rubies and in fact Spinel was often called the great impostor of the gemstone world, because it has been mistaken for all sorts of other gemstones and occasionally on purpose to deceive a customer. Spinel gemstones are commonly mistaken for Ruby, Sapphires and Tanzanite. The Mahenge Spinel which is said to be the most beautiful Red Spinels, had originally come from the Balas region in Afghanistan. These stones were called Balas Rubies since their identification was confused and they are sometimes even found alongside deposits of Rubies. What is the Spinel Meaning, Metaphysically? Spinel is associated with energy renewal, and helping you in overcoming difficult circumstances and in rejuvenation. Spinel enhances all the positive aspects of your personality. It helps in achieving and accepting success with humility. What we can supply Wholesale Spinel in shapes, cuts and sizes such as calibrated rounds, trillions, cushions, and hearts from 3 mm to 8 mm sizes, and ovals, pears and octagons from 4×3 mm to 8×10 mm sizes. We are a bulk supplier of Wholesale Spinels.